Western part of the assault on Juno Beach, three sectors were given to different regiments to attack : Canadian Scottish / Royal Winnipeg Rifles / Regina Rifles. The troops landed on either side of the Seulles river and the small fishing village of Courseulles was liberated in the afternoon. 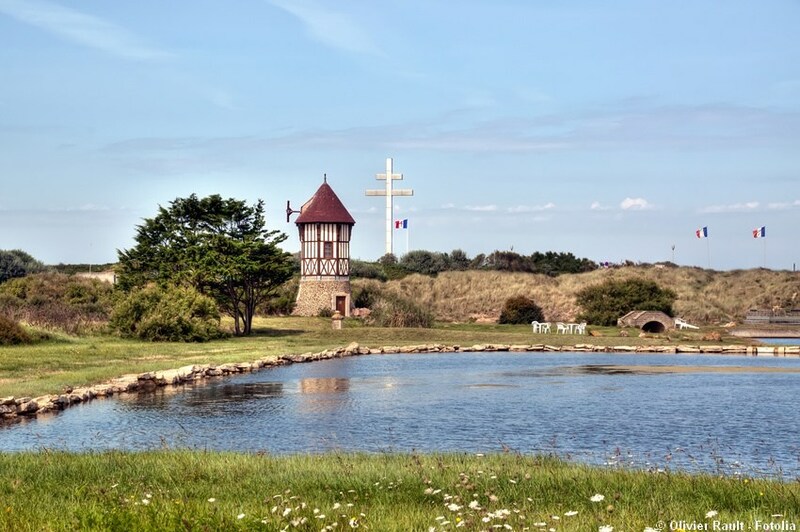 Numerous monuments are to be found here, including a Churchill Petard tank (especially engineered for D-day) and one of the so-called “amphibious” D-D tanks, and also a large Cross of Lorraine that marks the place where General de Gaulle came back to France in June 1944.